As your parent ages, joint pain, stiff muscles, and loss of some balance may happen. According to the National Health Institute, 14.8 percent of the adults in the U.S. faced balance issues in 2008. Sometimes a health issue, such as an inner ear infection is the cause, other times it can simply happen because of age. Medications like antidepressants and blood pressure medications can also lead to balance issues. To help with balance and flexibility, Tai Chi and Yoga are two options you can do with your senior parent. 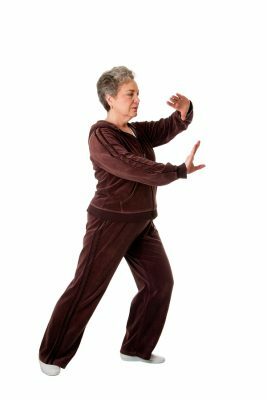 Here are four reasons to practice Tai Chi and/or Yoga and have your parent join you. Both Tai Chi and Yoga exercises help improve balance. In turn, this can help prevent your aging parent from falling inside and outside the home when you or a senior care provider is not there. For a parent with mobility issues, some of the exercises used in Tai Chi and Yoga can be done from a chair, so they’ll gain the health benefits without having to stand for extended periods of time. If you and your parent want to strengthen muscles, Yoga and Tai Chi offer low-impact exercises that help tone and strengthen core muscles. As both offer slow, steady movements, the fitness programs suit elderly men and women, even if they are in a wheelchair or need to workout from a chair. Flexibility is important as you age. Having flexible muscles and joints makes it easier to remain active. With Tai Chi and Yoga, the exercises you and your parent undergo will help with flexibility. Movements are slow and are meant to be fluid, so you gain the flexibility without putting much stress on your joints. The key to any Yoga or Tai Chi exercise program is breathing. Breathing is a great way to beat stress because it helps reduce blood pressure, slows your breathing and heart rate, and helps your muscles relax. As you and your parent participate in these exercise forms, you’ll learn to take very deep breaths, hold them in while doing the movements or poses, and then release the breath slowly. All of this helps reduce stress levels. Working out with your mom or dad is a beneficial way to spend time together. When you do have to work or need some time to yourself, hire a senior care provider. By having someone come to your parent’s home, you’ll know your mom or dad is safe when you can’t be there.